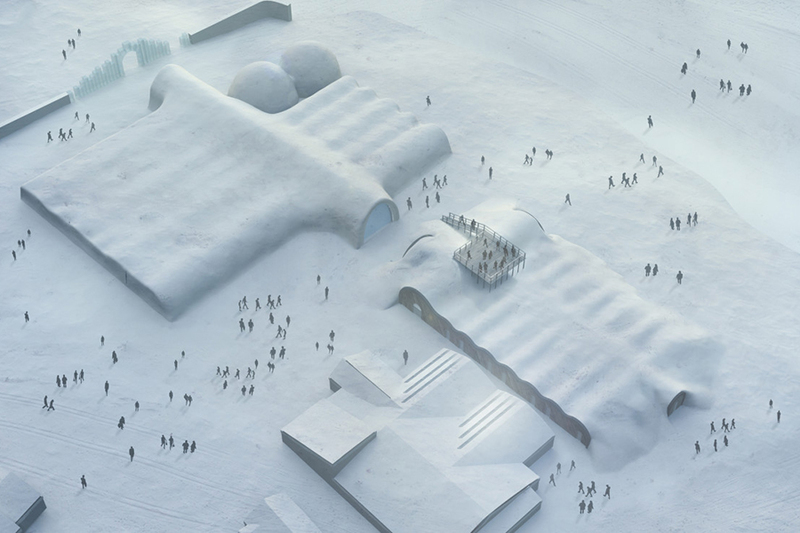 Each year, guests flock to Jukkasjärvi, Sweden, for a chance to stay at ICEHOTEL, a seasonal hotel made of ice from the Torne River. 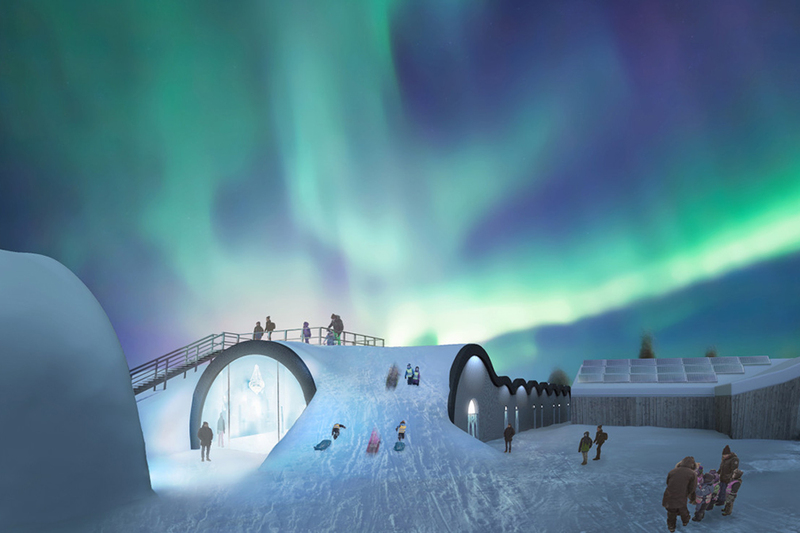 But in 2016, guests will have the chance to enjoy ICEHOTEL all year long. The new 12, 900-square-foot extension will connect to ICEHOTEL’s existing structure during the winter months and feature a curved roof with greenery, providing space for tobogganing. 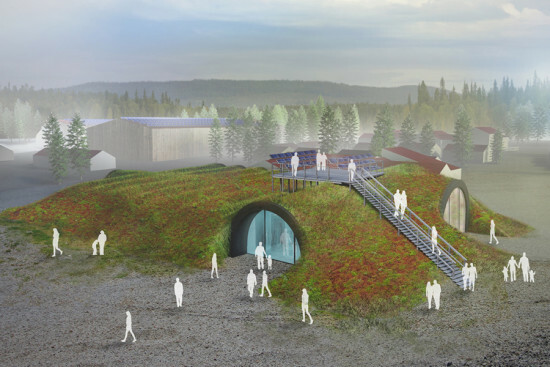 To prevent ice from melting, Swedish energy company Solkompaniet will install a solar-powered system to keep the building cool during the summer and the 100 days and nights of the midnight sun. “We will use the physics of Isaac Newton. In the same way we normally make energy efficient housing that keeps the cold out, for this project we’ll use it in reverse to keep the cold in,” architect, sustainable construction design expert, and hotel, bar, and art gallery project partner Hans Eek said in a statement. 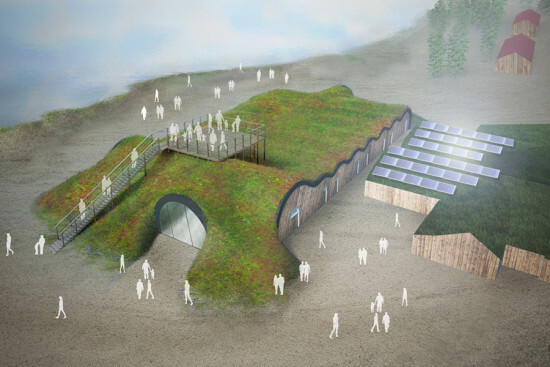 Some aspects of the design will change on a yearly basis. “Ice has an interesting effect on creativity. As it’s not permanent, it makes you dare to try ideas that you wouldn’t otherwise. It’s very liberating. 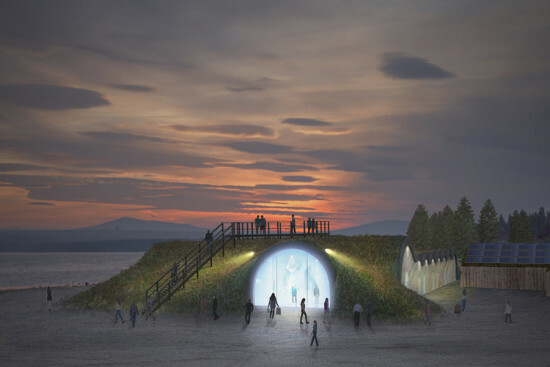 The idea of a project that marries this transient tradition with a semi-permanent, year-round element is very exciting,” project artist and creative senior advisor Arne Bergh said in a statement. The project is currently sourcing investments and is scheduled to open December 2016.